Welcome to the October 2015 edition of Righting Crime Fiction. This month, I’m continuing with the “Writer’s Guide to Fighting” series and moving into strikes. Authors will probably find the section on strikes, which will cover quite a number of lessons and span many months, the most relevant. This is where I’ll describe how to execute different strikes and provide the correct names for each. When it comes to fight scenes in fiction, this is where I see the most mistakes. An author might have a character knock another character unconscious with a jab or have a right-handed character deliver a left cross. While these are not “fatal” errors, readers with fight experience will recognize the lack of research and might mention it negatively in a review. Speaking of the jab, it’s the strike I’ll highlight this month. While I’ll be speaking to your “cop” characters, these techniques are not unique to law enforcement, so any of your characters can use them. As an example, if you’re writing a romance, your protagonist could shoot a jab to the nose of your antagonist, snapping his head back and causing blood to spill from his nostrils. The jab is a quick, snapping punch that is executed with the lead hand. The lead hand is the left hand for right-handed fighters, and the right hand for left-handed fighter. 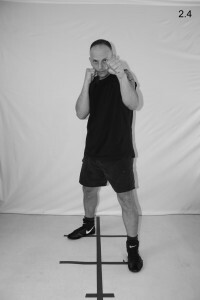 Since your lead hand is closest to the suspect, the jab will connect at a higher rate than other punches. 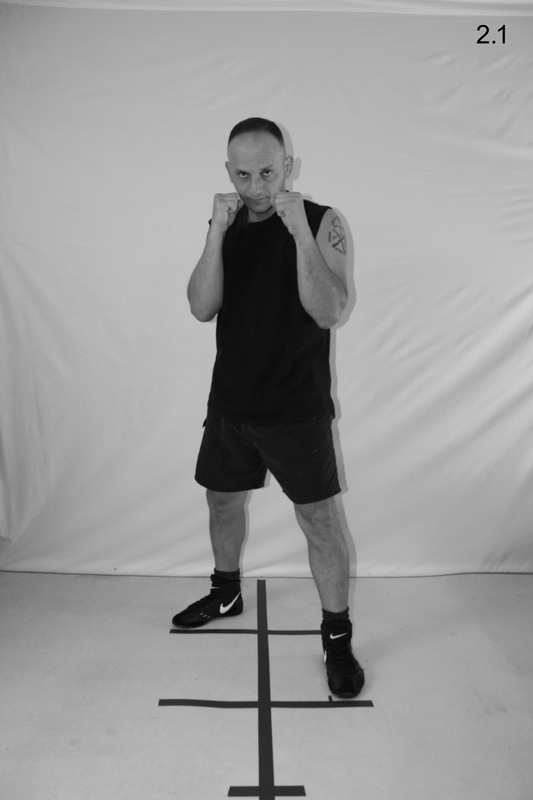 The jab can be used to distract an aggressive suspect, to set up follow-up punches, and can even be used defensively to disrupt a suspect’s attack. If developed properly and delivered correctly, it can be a very effective punch in your bag of striking tricks. While it is not a power punch, a stiff jab to the face can potentially snap a suspect’s head back and stun him. This could be enough to cause some suspects to discontinue their aggressive behavior, but this will be the exception and not the norm. You should always be prepared to execute follow-up strikes after a jab, and these strikes should be delivered immediately and explosively—before the suspect has time to uncross his eyes and clear his head. Step One: For maximum power, from the Fighting Stance (see Fig. 2.1) utilize a Front Step while quickly extending your left fist forward in a straight line from your chin toward the target (see Fig. 2.2). Do not lift your left elbow away from your body as your arm unfolds into the punch, because this will detract from your power and speed of delivery. Your elbow should travel directly upward as your arm extends. Step Two: As your left fist nears the end of the extension (approximately the last six inches of the punch), rotate your left hand sharply over in a clockwise direction so that your palm is facing the floor and your fist is at an approximate forty-five degree angle at the end of the punch, while completing the Front Step by bringing your rear leg forward (see Fig. 2.3). The rotating motion of your fist will roll your left shoulder over so that the ball of your shoulder shields your chin. This shielding of the chin will provide protection against a counter right hand. Additionally, rotating your fist to a forty-five degree angle will ensure that you strike with the large knuckles of the index and middle fingers. Step Three: As quickly and explosively as you executed the Jab, pull your fist back toward your chin (see Fig. 2.4) and return to the Fighting Stance (see Fig. 2.5). 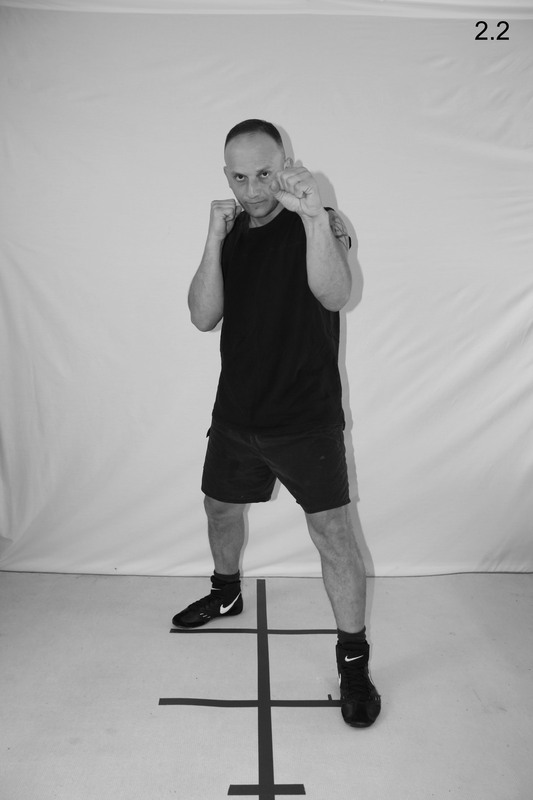 Executing the left jab to your suspect’s body can be an effective set up punch. It can draw your suspect’s hands down, thereby creating an opening for a strike to the head. When executed to the solar plexus, it can cause some suspects to discontinue their aggressive behavior and sink to the ground, because this is a highly sensitive area for most folks. Step One: Dip your body quickly by bending at the knees. The dipping motion will lower your body and, depending on your height versus the suspect’s height, place your shoulders more in line with his torso. 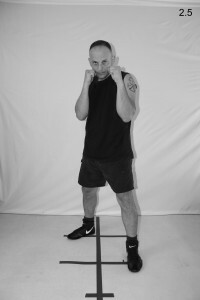 Step Two: Immediately execute the jab to the body in the same manner as previously described for the jab to the head. Well, that wraps up the October 2015 segment of Righting Crime Fiction. If any of you have any questions or comments or suggested topics, feel free to contact me at rightingcrimefiction@gmail.com and I will reply as soon as I can.